If you have a boat or yacht, it only makes sense to buy condo with a boat dock or marina onsite or a short walk away. There are plenty of single family homes, but the lock-and-go convenience of condo living makes it much more conducive for many in the greater Miami area in Florida. There are many condos in various price ranges that offer a private marina with available boat slips, regardless of the size of the vessel. The above buildings may or may not have the availability that suit your needs RIGHT NOW, however here is a real-time list of condos for sale that have boat docks included as part of the sale or optional for immediate purchase or lease consummated at the time of the purchase. Either way, we are happy to do the heavy lifting for you. Just let us know your need and budget, and we will revert back with the best options of condos with an appropriate boat slip for your vessel. In the above list we have delineated which condos are located where you will have no fixed bridges to get to the open water. Some will have drawbridges and others no bridges at all to get to the open water. 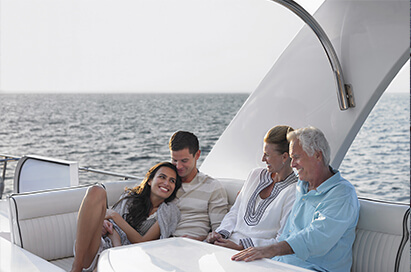 For the avid boater, especially those with larger boats or yachts, this is an essential decision-making factor in choosing the right condo. Many condos have their own private docks that are owned1 by the condo association, and others might be adjacent to a marina that is independently operated. Some other condo buildings have dockage rights and get a third-party manager/operator to manage the day-to-day and supply the dockmasters. Purchase An Assignment to Exclusive Use of a Dock Space. Many condos consider boat docks as a limited common element and thus you can buy the right to have exclusive use to that portion of the limited common element, but you don't have the deed to it, just an "assignment of exclusive right to use" the boat slip. Lease a dock space. Many times you will purchase in a condo where there may not be any boat slips available for sale currently, or in fact the condo exclusively leases dock spaces to residents. In this case, your only option is to pay a monthly fee to lease the dock space.